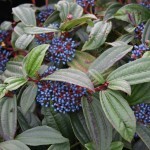 A low, compact shrub with shiny, dark blue-green textured foliage. White blooms in spring are followed by metallic blue berries. 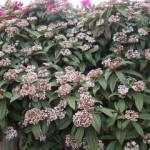 It will grow in full sun to part shade in an average, medium moisture, well-drained soil. It performs better with afternoon shade in hot areas. The evergreen foliage will acquire burgundy tones in colder winters. It may be pruned if needed for form. 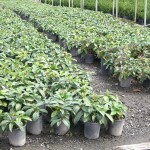 It may be used in mass plantings, for a low hedge, or edging woodland areas.